Frank Leslie's Popular Monthly (1880), vol. 9, p. 564 (top). Although published after the Civil War, this scene could have been witnessed during the later antebellum period. 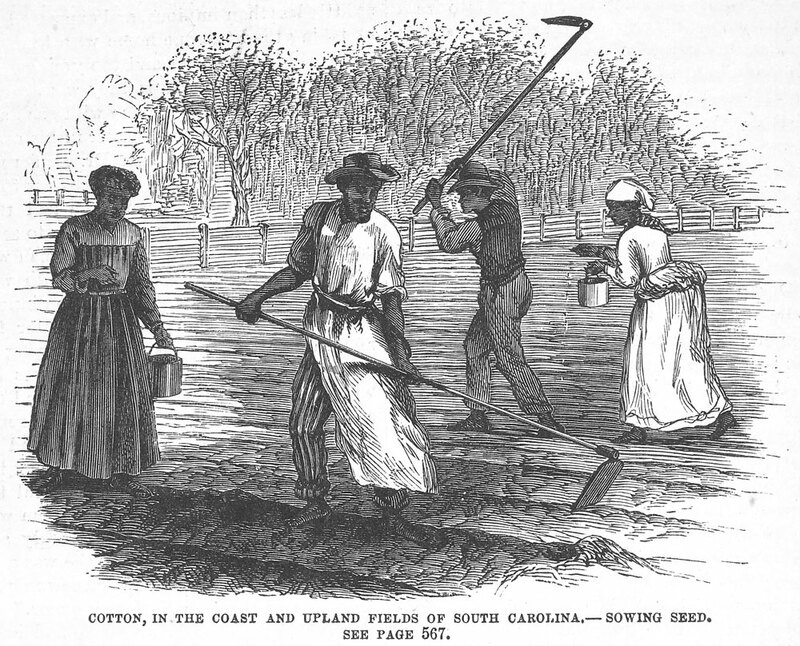 The illustration accompanies a long descriptive article on cotton production, Cotton, in the Coast and Upland Fields of South Carolina, by Jennie Haskell (pp. 567-574).